We recently told you that a new team was planning on resurrecting and breathing life into the wonderful Installer project, which hasn’t seen an outing since Installer 4.0 in 2011. Now, as a progression of that announcement, the team behind the app has taken the opportunity to share some work-in-progress designs as well as a short teasing video of Installer 5. The first thing you’ll notice from the 8-second teasing video is that it has a very “iOS 11 App Store” look and feel about it. Apple managed to get a lot of iOS device users on its side when it revealed the new revamped iOS 11 App Store at WWDC earlier this year, so it looks as though the team behind Installer has taken inspiration and comfort from that and tried to keep the experience as native as possible. The video shows a featured app on the first page with the individual navigating jumping into that app and viewing the associated screenshots. Which, once again, immediately reminds you of the App Store UI. A number of static screenshots of Installer 5 have also been shared. 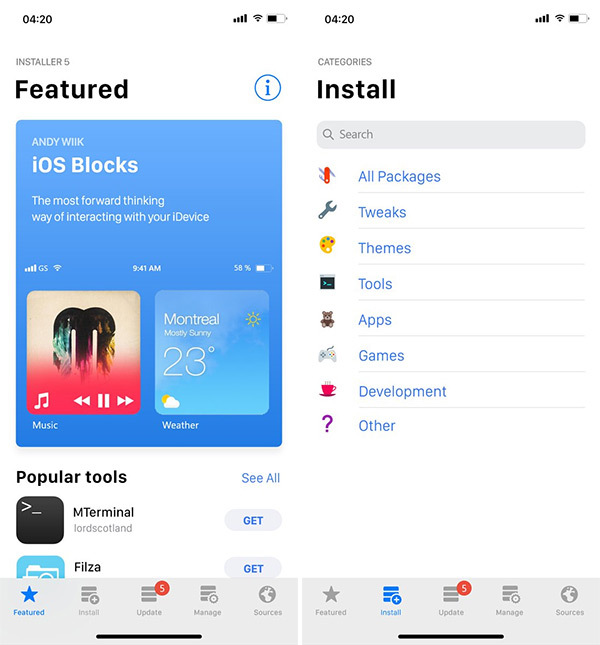 They show the main Featured tab of the app, which, once again, immediately conjures up images of Apple’s App Store thanks to the featured application UI and how popular apps or installations are shown beneath that. There is a quick visual of the Install tab which gives a breakdown of categories to browse, such as Tweaks, Themes, Tools, Apps, Games, and Development utilities. Finally, the last screenshot shows the Update section which instantly gives a user an overview of the packages which have pending updates as well as a historical look at updates which have recently been installed. Sharing a video and screenshots of Installer 5 is one thing but actually getting an estimated time of release or an update on progress is something entirely different. The team has already had to make deviations from their original plan for Installer 5, such as ditching the zip format in favor of apt or .deb, so it’s unknown if this has set the release back. However, as always, as and when we get any additional information we will be sure to let you know immediately. 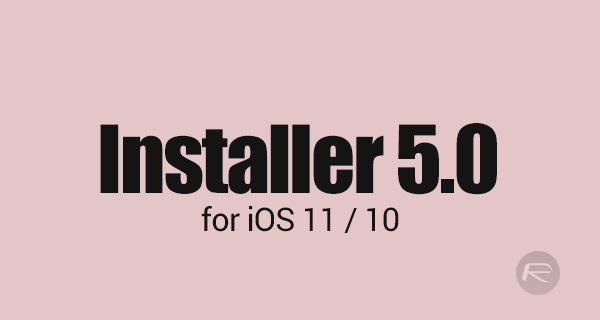 Installer 5 is looking like a great alternative to Cydia. I for one can’t wait to try it! Looks really cool. Good work devs.